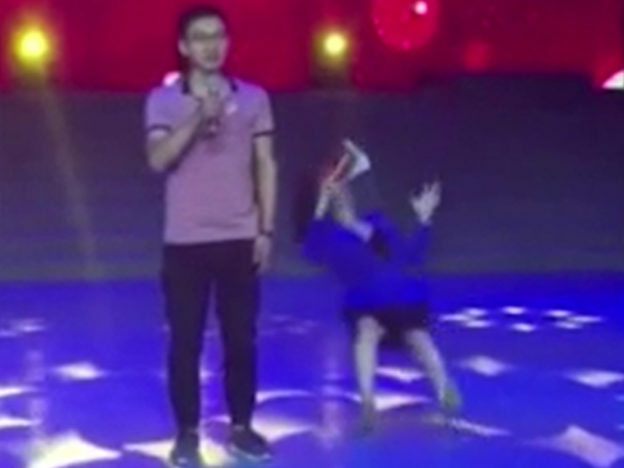 A TV host in China collapsed live on air, but her audience assumed that it was all just part of the act. 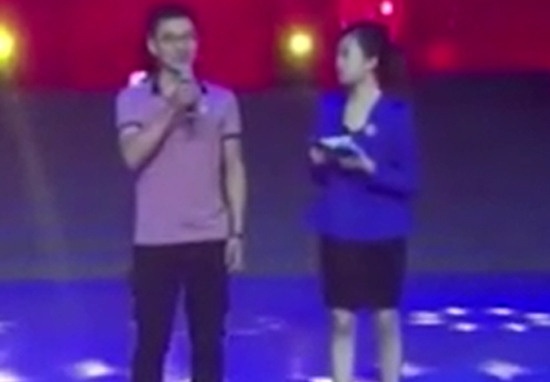 26-year-old Zhang Han had been presenting the talent show The Most Beautiful Handan People before a live studio audience. Dramatic footage shows the young presenter looking dizzy before falling backwards onto the stage, holding her arms forward as if in confusion. Her co-host immediately rushed to her aid but audience members took a little longer to understand the severity of the situation, applauding what they thought was an attempt to be humorous. Some people have likened the incident to the chilling moment when comedian Tommy Cooper died on stage and the audience continued to guffaw at what they thought was just another joke. Thankfully, Zhang did not require hospital treatment. Her condition was diagnosed as hypoglycaemia (low blood sugar), which includes the symptoms of confusion, shakiness, clumsiness, slurred speech, fainting and even death. Zhang quickly returned to work after her health scare, despite the hypoglycaemia having been aggravated by her hectic work schedule. If you find yourself experiencing similar difficulties then do not push yourself too hard and take time away from your work if necessary. We are all wishing Zhang a full recovery.